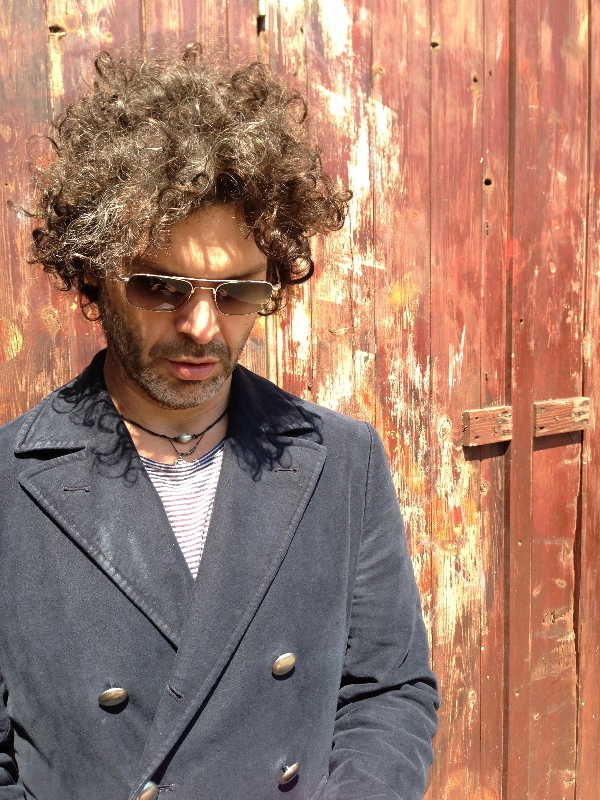 Magnolia Fest is thrilled to announce the addition of Doyle Bramhall II to the 2015 lineup. Doyle is an American blues musician known for his work with Eric Clapton, Roger Waters, Sheryl Crow, and his own band Arc Angels. He stands as one of the most distinctive vocalists, guitarists, composers and producers in contemporary music, with Clapton citing him as one of the most gifted players he has ever encountered. There is a slight schedule change for the festival and Doyle will be performing on Friday right before Tedeschi Trucks Band on the Meadow Stage and The Travelin McCourys with Roosevelt Collier will now be on the Amphitheatre Stage at 8:30-9:30pm. Magnolia Fest is celebrating its 19th year at the magnificent Spirit of the Suwannee Music Park in Live Oak, FL on October 15-18, 2015. 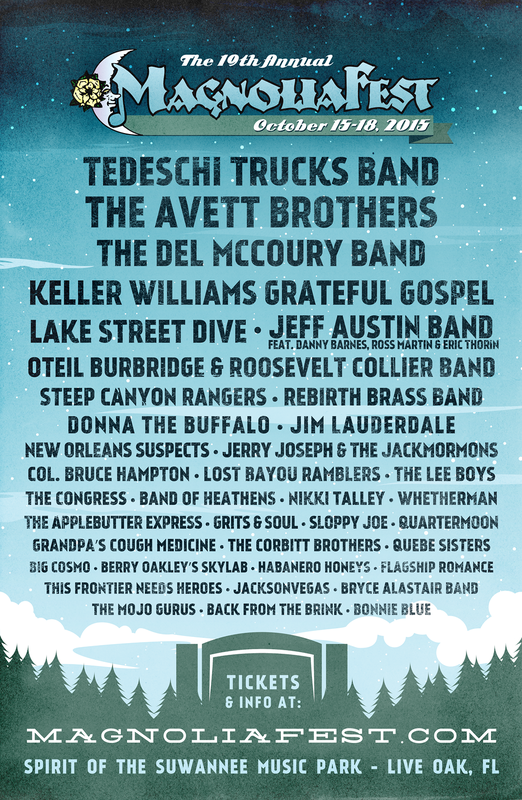 On this fall’s lineup are Tedeschi Trucks Band, The Avett Brothers, The Del McCoury Band, Keller Williams Grateful Gospel, Lake Street Dive, Jeff Austin Band, Roosevelt Collier & The Travelin McCourys, Steep Canyon Rangers, Rebirth Brass Band, Donna the Buffalo, Jim Lauderdale, The Motet, New Orleans Suspects, Col. Bruce Hampton, Jerry Joseph & The Jackmormons, Lost Bayou Ramblers, CeDell Davis, The Lee Boys, The Congress, Band of Heathens, The London Souls, Nikki Talley and more! Festivalgoers enjoy four days of camping, live music, unique arts and crafts, a wonderful selection of foods and beautiful fall weather. Another reason to attend Magnolia Fest is the stunning setting located just north of Live Oak, FL, in The Spirit of Suwannee, a one-of-a-kind music park and premier 500+ acre campground nestled on the shady banks of the historic, tea-colored Suwannee River with lush overgrowths of Spanish moss. There is also nearly 12 miles of trails suitable for hiking, biking, horseback riding, fishing, and nature exploring, as well as canoe and bike rentals. With four stage of music including a natural amphitheatre set into the trees, an expansive meadow stage, a music hall, and another wood-built stage near the vending Magnolia Fest consistently features some of the world’s finest performers in Americana, Roots Rock, Acoustic Blues, Singer/Songwriter, Bluegrass & Newgrass, Cajun/Zydeco, New & Traditional Folk and other forms of American Roots music. There’s also campfire pickin’ throughout the festival by attendees and performers alike; you just never know who may show up to play in this energetic and family friendly musical celebration. Tickets are on sale in advance and at the gate. Tickets are $200 until October 14th; and $210 at gate. All weekend tickets are inclusive of all taxes and fees, and include 4 days of primitive camping and music. Kids under 12 are invited to join for free. Fans can also upgrade their experience with VIP tickets for $400 which includes dinner, discounts, VIP Lounge, festival poster, & other perks. Single day tickets are available. Student and Military tickets are $180 and $210 at the gate. The Live Oak Music And Arts Foundation (LOMAF) will have a booth with raffles to raise money for the local music and art programs in the area. SOSMP is located between Jacksonville, Florida & Tallahassee, Florida about 30 minutes south of the Georgia State line, about 45 minutes north of Gainesville. For RV hook ups, cabin rentals and golf cart rentals, please visit the park’s web site at www.musicliveshere.com call SOSMP at (386)-364-1683. For further information, the full schedule of events, and tickets, please visit → www.magnoliafest.com. Magnolia Fest is excited to announce the schedule for this Fall’s event from October 15-18, 2015 at the majestic Spirit of the Suwannee Music Park in Live Oak, FL. Thursday night headliners include are The Motet followed by Lake Street Dive, Others set to play Thursday include a festival opening set by The Lee Boys followed by Band of Heathens and The Congress along with another full stage of music throughout the day. 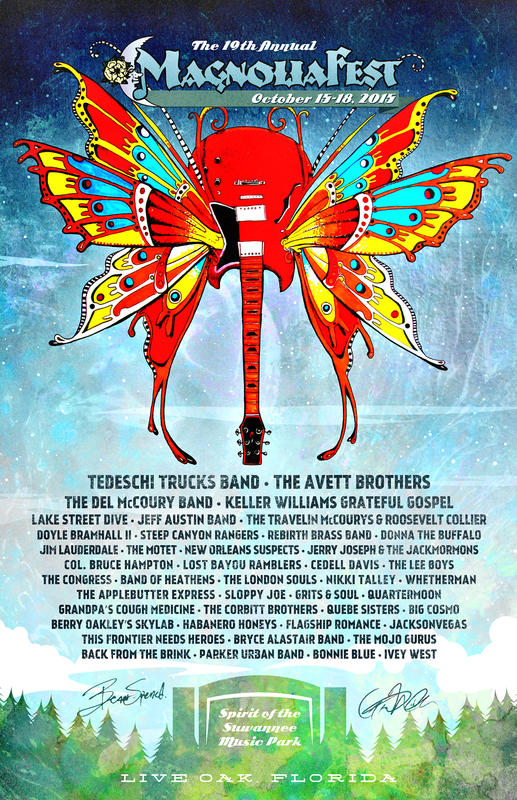 Friday night’s main headliner is Tedeschi Trucks Band and other main acts include The Del McCoury Band, Steep Canyon Rangers, Col. Bruce Hampton, Roosevelt Collier & The Travelin McCourys, a late night set from The Motet, The Lost Bayou and others on all 4 stages. 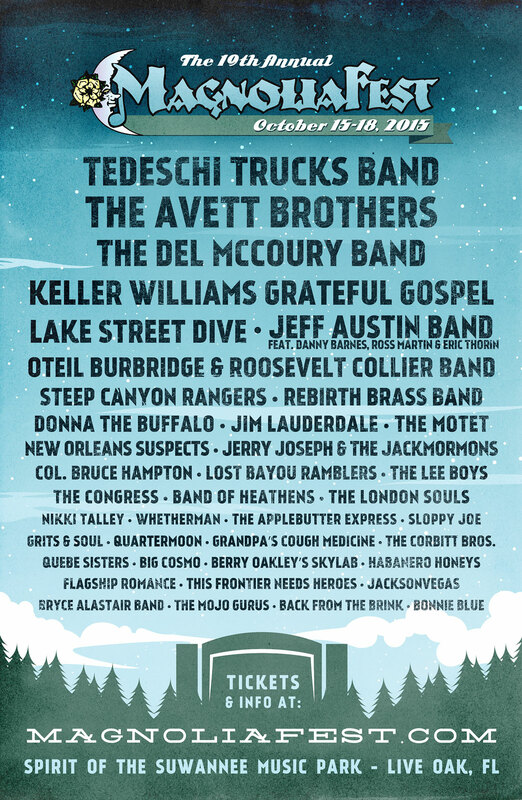 Saturday sees The Avett Brothers headlining and 4 stages of music including Jeff Austin Band, New Orleans Suspects, Rebirth Brass Band, Jim Lauderdale, Jerry Joseph & The Jackmormons, another set with Col. Bruce, and a late night show by Donna the Buffalo. Donna also closes out the night Sunday with their traditional Suwannee music revue of musicians guesting with them to close out the festivities. Others playing Sunday are Keller Williams Grateful Gospel, a second set by Jim Lauderdale, Grandpa’s Cough Medicine, and Big Cosmo. Experience four days of camping, live music, unique arts and crafts, a wonderful selection of foods and beautiful fall weather at a stunning setting in a one-of-a-kind premier music park with 500+ acre campground nestled on the shady banks of the historic, tea-colored Suwannee River with lush overgrowths of Spanish moss. The park also has nearly 12 miles of trails suitable for hiking, biking, horseback riding, fishing, and nature exploring, as well as canoe and bike rentals. There’s also campfire pickin’ throughout the festival by attendees and performers alike; you just never know who may show up to play in this energetic and family friendly musical celebration. Tickets are on sale in advance and at the gate. Ticket rates are $200 until October 14th and $210 at gate. All weekend tickets are inclusive of all taxes and fees, and include 4 days of primitive camping and music. Kids under 12 are invited to join for free. Fans can also upgrade their experience with VIP tickets for $350 through 8/30 ($400 after that) which includes dinner, discounts, VIP Lounge, festival poster, & other perks. The Live Oak Music And Arts Foundation (LOMAF) will have a booth with raffles to raise money for the local music and art programs in the area. Spirit of Suwannee is located just north of Live Oak, FL between Jacksonville and Tallahassee, about 30 minutes south of the Georgia State line, about 45 minutes north of Gainesville. For RV hook ups, cabin rentals and golf cart rentals, please visit the park’s web site at www.musicliveshere.com call SOSMP at (386)-364-1683. For further information and tickets, please visit → www.magnoliafest.com/tickets. 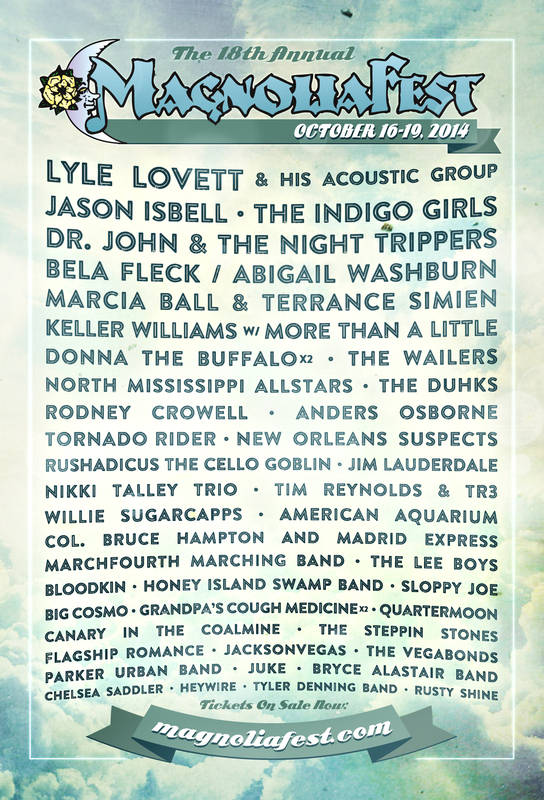 Magnolia Fest celebrates its 19th year at the magnificent Spirit of the Suwannee Music Park in Live Oak, FL on October 15-18, 2015. Spicing it up a bit more, the festival announces the additions of this year and adding The Motet and The London Souls to the bill. 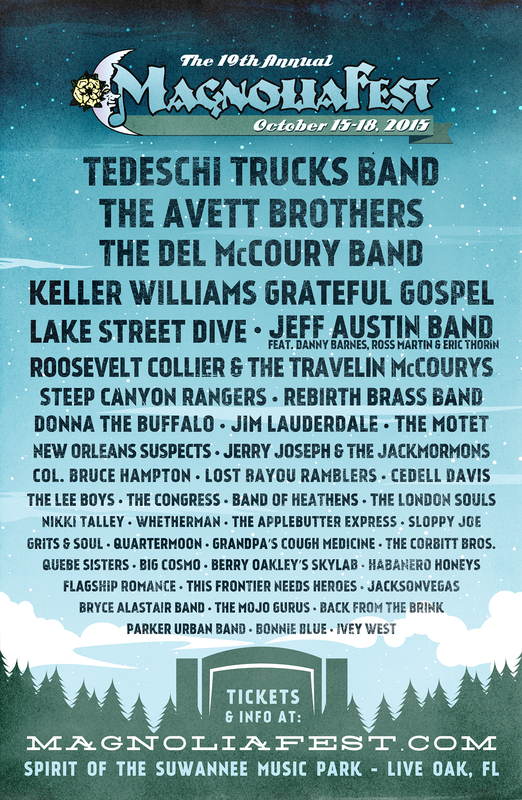 On this fall’s lineup are Tedeschi Trucks Band, The Avett Brothers, The Del McCoury Band, Keller Williams Grateful Gospel, Lake Street Dive, Jeff Austin Band featuring Danny Barnes, Ross Martin & Eric Thorin, Oteil Burbridge and Roosevelt Collier Band, Steep Canyon Rangers, Rebirth Brass Band, Donna the Buffalo, Jim Lauderdale, New Orleans Suspects, Col Bruce Hampton, Jerry Joseph & The Jackmormons, Lost Bayou Ramblers, The Lee Boys, The Congress, Band of Heathens, Nikki Talley and more! Tickets are on sale in advance and at the gate. Early bird rates are $185 until August 20th; $200 until October 14th; and $210 at gate. All weekend tickets are inclusive of all taxes and fees, and include 4 days of primitive camping and music. Kids under 12 are invited to join for free. Fans can also upgrade their experience with VIP tickets for $350 through 8/30 ($400 after that) which includes dinner, discounts, VIP Lounge, festival poster, & other perks. The Live Oak Music And Arts Foundation (LOMAF) will have a booth with raffles to raise money for the local music and art programs in the area. SOSMP is located between Jacksonville, Florida & Tallahassee, Florida about 30 minutes south of the Georgia State line, about 45 minutes north of Gainesville. For RV hook ups, cabin rentals and golf cart rentals, please visit the park’s web site at www.musicliveshere.com call SOSMP at (386)-364-1683. For further information and tickets, please visit → www.magnoliafest.com/tickets. Live Oak, FL — Magnolia Fest 2014 is only a few weeks away and we are thrilled to announce the daily schedule of music: www.magnoliafest.com/schedule/. On October 16-19, 2014 Magnolia Fest celebrates its 18th year of celebrating with some of the world’s finest performers in Americana, Roots Rock, Acoustic Blues, Singer/Songwriter, Bluegrass & Newgrass, Cajun/Zydeco, New & Traditional Folk and other forms of American Roots music. Festivalgoers will enjoy four days of camping and live music, arts and crafts, and a selection of great foods at this energetic and family friendly event. Tickets are available at: www.magnoliafest.com/tickets. We are excited to add a few additions to the line-up including Col. Bruce Hampton and Madrid Express, Bloodkin, and The Vegabonds. They are joining the stellar lineup of Lyle Lovett & His Acoustic Group, Jason Isbell, The Indigo Girls, Dr. John and The Night Trippers, Bela Fleck & Abigail Washburn, Marcia Ball & Terrance Simien “Boogie on the Bayou”, Keller Williams with More Than A Little, Donna the Buffalo, The Wailers, North Mississippi Allstars, The Duhks, Rodney Crowell, Anders Osborne, Jim Lauderdale, Tim Reynolds & TR3, Tornado Rider, New Orleans Suspects, Willie Sugarcapps, American Aquarium, MarchFourth Marching Band, and The Lee Boys amongst others. The festival takes place at the magnificent Spirit of the Suwannee Music Park, located just north of Live Oak, FL, which is a one-of-a-kind music park and premier 500+ acre campground nestled on the shady banks of the historic, tea-colored Suwannee River in North Florida. SOSMP hosts a variety of events throughout the year including Wannee, Suwannee Springfest, Bear Creek Music and Arts Festival, Hulaween, Blackwater Music Festival, Aura Music Festival and other special events. Get your tickets for Magnolia Fest now and save. Tickets are on sale in advance for $185 in advance ($200 at the gate). Prices are inclusive of all taxes and fees and include 4 days of primitive camping and music. Kids under 12 are invited to join for free. Attendees can also upgrade for a VIP Experience which includes a four-day ticket with primitive camping, meals, swag bag, inclusion in a drawing to win an All Access upgrade and more for $300. Along with the camping, there are nearly 12 miles of trails suitable for hiking, biking, horseback riding and nature exploring. For RV hook ups, cabin rentals and golf cart rentals, please call SOSMP at (386)-364-1683. Further information and updates can be found at www.MagnoliaFest.com, www.facebook.com/MagnoliaFestfl, www.twitter.com/MagnoliaFest, and www.instagram.com/magnoliafest. Tickets $185 until 10/15; $200 at gate; kids under 12 are free. 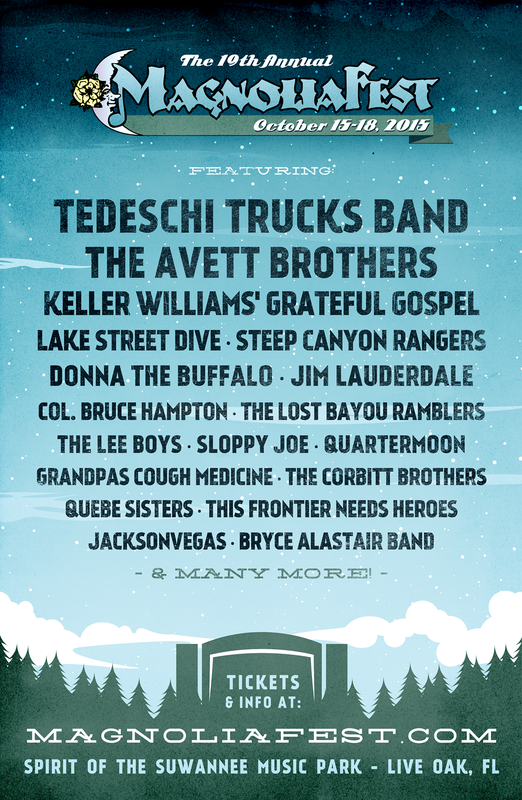 All weekend passes include music & primitive camping Thursday – Sunday nights. The Live Oak Music And Arts Foundation (LOMAF) will have a booth with raffles to raise money for the local music and art programs in the area. RV sites, cabin rentals and golf cart rentals are also available, call 386-364-1683 to reserve. SOSMP is located between Jacksonville, Florida & Tallahassee, Florida about 30 minutes south of the Georgia State line, about 45 minutes north of Gainesville. Please visit the park’s web site at www.musicliveshere.com or call them at the number above for more information. Magnolia Fest Lineup Additions Include The Wailers, North Mississippi Allstars, Anders Osborne, Rodney Crowell, The Duhks and more! On October 16-19, 2014 Magnolia Fest celebrates its 18th year of celebrating with some of the world’s finest performers in Americana, Roots Rock, Acoustic Blues, Singer/Songwriter, Bluegrass & Newgrass, Cajun/Zydeco, New & Traditional Folk and other forms of American Roots music. Festivalgoers will enjoy four days of camping and live music, arts and crafts, and a selection of great foods at this energetic and family friendly event. 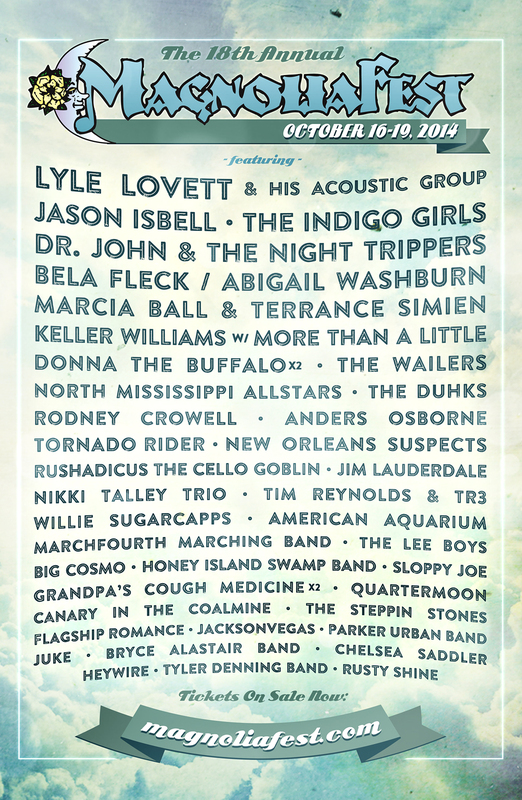 Magnolia Fest is excited to announce additions to this Fall’s line-up including The Wailers, North Mississippi Allstars, Anders Osborne, Rodney Crowell, The Duhks, Tornado Rider, New Orleans Suspects, Nikki Talley Trio and more. Previously announced acts include Lyle Lovett & His Acoustic Group, Jason Isbell, The Indigo Girls, Dr. John and The Night Trippers, Bela Fleck & Abigail Washburn, Marcia Ball & Terrance Simien “Boogie on the Bayou”, Keller Williams with More Than A Little, Donna the Buffalo, Jim Lauderdale, Tim Reynolds & TR3 amongst others. The festival takes place at the magnificent Spirit of the Suwannee Music Park, located just north of Live Oak, FL, which is a one-of-a-kind music park and premier 500+ acre campground nestled on the shady banks of the historic, tea-colored Suwannee River in North Florida. SOSMP hosts a variety of events throughout the year including Wannee, Suwannee Springfest, Bear Creek Music and Arts Festival, Hulaween, Aura Music Festival and other special events. Get your tickets for Magnolia Fest now and save. Tickets are on sale in advance for $170 until the price increase on August 23rd ($200 at the gate). Prices are inclusive of all taxes and fees and include 4 days of primitive camping and music. Kids under 12 are invited to join for free. Attendees can also upgrade for a VIP Experience which includes a four-day ticket with primitive camping, meals, swag bag, inclusion in a drawing to win an All Access upgrade and more for $300. Along with the camping, there are nearly 12 miles of trails suitable for hiking, biking, horseback riding and nature exploring. For RV hook ups, cabin rentals and golf cart rentals, please call SOSMP at (386)-364-1683. Further information can be found at www.MagnoliaFest.com. Tickets $170 adv until 8/23; $185 until 10/15; $200 at gate; kids under 12 are free.